Warm greetings from WAY Secretariat! 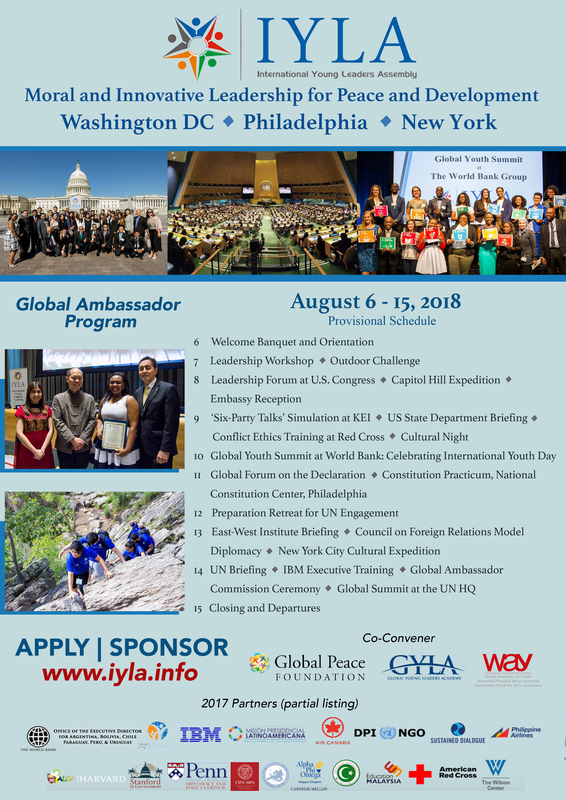 UN Environment is calling on the next generation of environmental leaders and would greatly appreciate if you can share this with your network. They have partnered with Covestro to launch Young Champions of the Earth. This is a multi-year challenge to help get big ideas off the ground with seed funding, mentoring, training, global publicity and access to influential networks – including trips to the UN Environment Assembly and the UN General Assembly! The challenge aims to identify, celebrate and support individuals between 18 and 30 with outstanding potential to create positive environmental impact. Each year, a total of six Young Champions—one per world region – will receive the full life-changing support package, and 30 will receive expert mentoring. We appeal for you to reach out through your networks and encourage the brightest and best to apply. Thank you for your cooperation. Attached is more information on the Young Champions of the Environment.